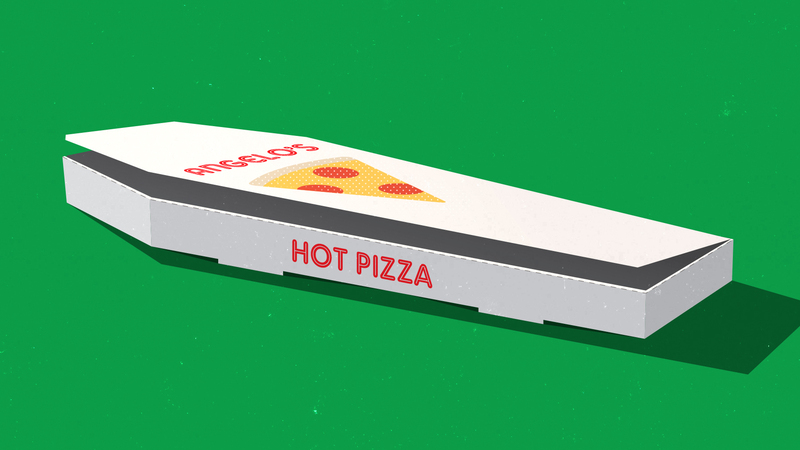 Gather around for a tale of how pizza raised a business from the dead. The year is 1960. Before the British Invasion has a chance to sweep the nation, another craze possesses Americans — pizza. It’s an auspicious time for Angelo’s Italian Restaurant to begin serving patrons. And it quickly cooked up a reputation for offering the best pizza around. I can’t remember my initiation into the Cult of Angelo’s, but I can remember ritual consumptions at home and at the temple itself, located at Harry and Hillside streets. After nearly 50 years in business, the restaurant went under in 2006. But owner Jack Fasciano continued filling orders out of his home — and only for friends. For the better part of the next ten years, nobody else really knew about it … that is, until photographic evidence appeared on Facebook. People were posting images of their take-and-bake pizzas. Some took selfies, grinning at the camera like addicts who’d found a suitcase full of heroin. The secret was out. Then everyone wanted a fix. For Fasciano, it must have been like starting all over again. He was writing out menus with a Sharpie and taking orders over his home phone. Customers parked up and down the street and exchanged cash for sacks of food inside his single-car garage. Oh, what the neighbors must have thought if they didn’t already know that a restaurateur lived on the block. The pizza in question measures close to two inches high. The crust, though not too thick, manages to support a stack of homemade Italian sausage, beef, pepperoni and sautéed mushrooms, onions and peppers topped with mozzarella. I hadn’t experienced those flavors in more than a decade. But with that first bite, sleeping memories awakened like wildflowers in the sun. I remembered eating at Angelo’s with friends before my sophomore year homecoming dance. I remembered driving home with takeout one night, smelling the pizza and witnessing a meteor burn a white path into the sky — so bright that I thought it had crossed the road in front of me. I remembered many occasions throughout my life when my family and friends and I feasted in communion. It was this food-memory connection that resurrected Angelo’s from the grave. Fasciano depended on it when he decided to reopen his restaurant. He launched a Kickstarter to help fund it. Hundreds of donors chipped in to the tune of $50,000. On and on. A potluck of cherished memories, amusing stories, remember-so-and-sos; recollections of first dates, grabbing takeout with coworkers and dining with family. Blue-collars, white-collars, 20-year-olds, 70-year-olds, locals and out-of-towners. Angelo’s recipes are loaded with aromas and flavors that gently pull them all back in time. An amazing product may not be enough to keep a business going. We’ve all mourned the loss of favorite eateries in this town. Over 46 years, however, Angelo’s pizza bound itself inextricably to customers’ fondest memories. And, in the end, that was its salvation: good old foodie nostalgia. Go on. Try the pizza. Become a believer.